Outstanding performance, Energy Star efficiency and unsurpassed comfort combined with state of the art technology. 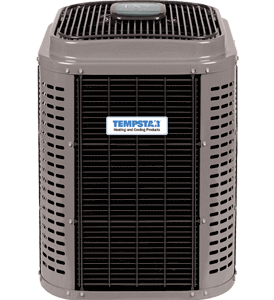 Enjoy unsurpassed year-round comfort with DELUXE SERIES heat pumps. Call AC Repairs Inc today for expert advice on selecting just the right heating and cooling system for your home. With a 5 stage variable speed control compressor and super quiet operation, the Deluxe 18 Heat Pump TVH8 with SmartSense technology delivers unsurpassed comfort year round. This top performer comes with Wi-Fi® enabled remote access, a 10-Year No Hassle Replacement™ Limited Warranty and 10-Year Parts Limited Warranty. 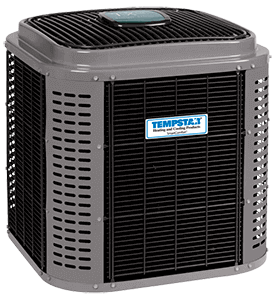 With a cooling rating up to 17.5 SEER and a 2 stage compressor for improved humidity and temperature control, the Deluxe 16 Two-Stage Heat Pump delivers year-round comfort. Add Wi-Fi® enabled remote access, a 10-Year No Hassle Replacement™ Limited Warranty and a 10-Year Parts Limited Warranty the TCH6 exceeds expectations and is Energy Star qualified.